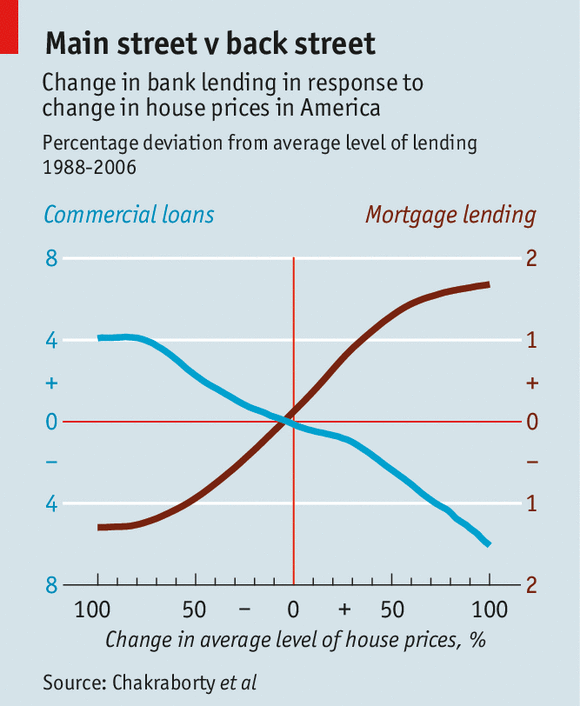 A higher price for money is not just toxic to the mortgage-refinancing business, and thus bad for banks, it also hurts house prices. That would suggest that it hurts the economy as a whole as well. But a new paper by two professors at the Cox School of Business at Southern Methodist University and a third at the University of Pennsylvania’s Wharton Business School argues otherwise: that efforts to boost housing loans have impeded the flow of credit to more productive uses.